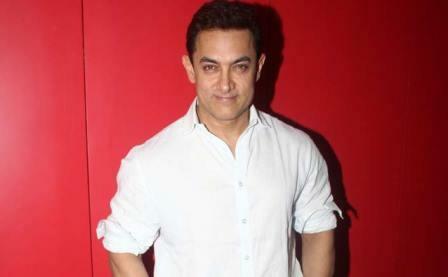 Aamir Khan Production’s last release, Secret Superstar has been lauded across the globe for its unique content and intriguing storyline. The movie has created an impact on the masses. Aamir Khan absolutely surprised us with a completely different avatar in this film when he portrayed a quirky music composer, Shakti Kumarr. Secret Superstar went on to become one of the sleeper hits of 2017. The film globally received accolades from critics and audience alike for its heart touching content. When asked Aamir about the response Secret Superstar got worldwide, he said, “This year has really been special because of the response Secret Superstar received. It was heartwarming and satisfying. And it did great business for the kind of film it was. Even though my role was smaller, I thoroughly enjoyed the part. I was happy to work with Advait Chandan. The film revolves around the school-going girl Insiya Malik, played by Zaira, who aspires to become a singer but is not allowed by her overbearing father. So she takes the online route by keeping her identity secret with the help of a small-time music director Shakti Kumar helps her. Produced by Aamir Khan, Kiran Rao under the banner name of Aamir Khan Productions, Zee Studios, and Akash Chawla, Secret Superstar is written and directed by Advait Chandan. The film was released on 19th October and is running strong at the box office.